The Boston Celtics are nothing if not one of the league's biggest disappointments so far, and the most maddening aspect of it is the fact that it's so hard to nail down why. It's very easy to see why on a game-by-game basis, don't get me wrong. But it's not been one player - or even several - consistently making the same mistakes, either. Nor is it related to shooting too many threes, avoiding the paint, bad defense, low effort, or hitting open shots - it's been all of these things, just not consistently. It's also not the schedule, as while Boston came into this season with one of if not the toughest slate of games, it's since eased considerably without producing commensurate results. 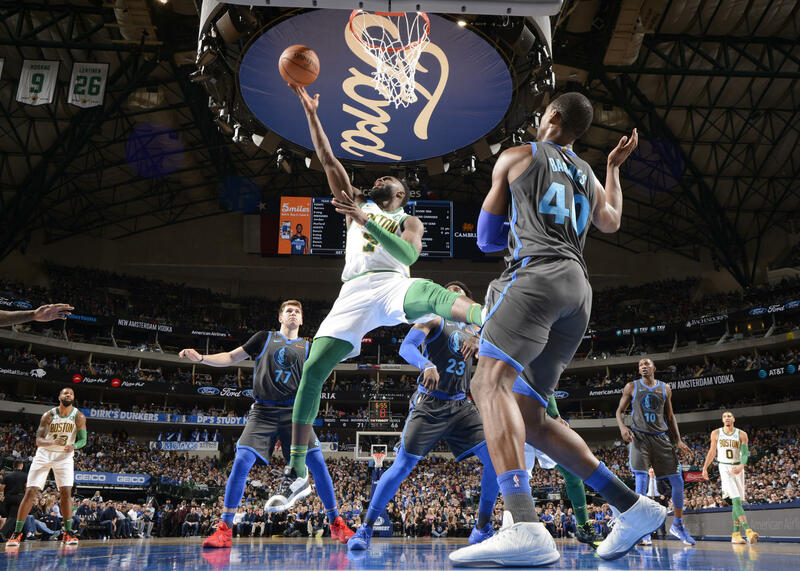 More, they have found ways to notch quality wins (versus the Philadelphia 76ers, Oklahoma City Thunder, Milwaukee Bucks, Detroit Pistons, and Toronto Raptors) while losing to teams like the Utah Jazz, Charlotte Hornets, New York Knicks, and Dallas Mavericks. I don't mean on a short-term scope, but the long view - is there a singular cause? I'm not sure there is, exactly. I buy the difficulty of adding heavy-usage guys as a factor, particularly given one of them, Gordon Hayward, clearly isn't quite right. But I don't think adding or removing players necessarily a lock to change things either - it could very well prolong the window needed to right the ship, perhaps disastrously. That doesn't mean I think trades should be off the table, especially if the right one (meaning, not just for a shot at a chip this year, but over several) comes along. I think Danny Ainge is correct to keep the door open while continuing to believe this team will turn things around, as we'd have to have some truly legendary chaos to drop to depths much lower than a would-be contender hovering at .500 a quarter way through the season. Boston's trade assets couldn't get much less valuable, and almost certainly would look better with time. For now, I think, we're just going to have to wait and either trust these guys will figure it out, or free up some time we'd been planning on watching NBA games for some other, more rewarding pastime until they do.